Romance is in the air! It’s close to Valentine’s Day and we haven’t heard of a Cuddle Con here – so – will you be sending flowers to your heartthrob this year? If you had only two choices, which of the following would best describe you politically? Are you a second guesser? If you could go back and change certain events or decisions in your past, would you? No - I like where I am today - changing things could change that! The heck with the past, I’d rather travel to the future! It’s here! During this holiday gift-giving season, where do you plan to do most of your gift shopping? Holiday Time! Parties and a time when we meet many new people and often a new relationship starts... Do you believe in love at first sight? It’s almost Thanksgiving – and that means holiday tunes are right around the corner too. Which yuletide song is your favorite? Bah Humbug! – I don’t like any Christmas music! This is a poll for all – there is an answer here for everyone - what’s your favorite form of exercise? If your vote were limited to only one person for the Laguna Beach Unified School District Board of Governors, which of the following would you choose? When was the last time you put on your Traveling Shoes and went abroad – for pleasure or business? Not for a very, very long time! I have never left the USA! If the election was right now and you could only vote for one candidate, which one would get your vote? In our previous poll, only 14 out of 147 voters said they could not do without their computer. How much time do you spend on your computer each day? We all take many things in our daily lives for granted. If you had to live the rest of your life without one of these technologies, which would it be for you? 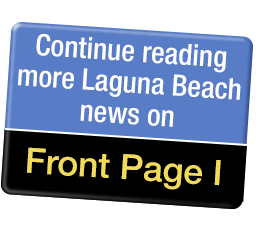 As we head into September and know its just a bit over two months until Election Day – we know too that it’s time to think about the issues facing Laguna Beach. What is, in your opinion, the most critical issue facing City Council candidates? If that vase you bought Saturday at a garage sale had a genie that popped up offering you only one supernatural ability, which would you choose? The November election is just around the corner. How will you vote this year? StuNewsLaguna began publishing in July of 2009. We are proud of our growth and plan to grow more. We’d love to know how long you’ve been a reader! Are you a vegetarian or have you ever been? No - I am omnivorous and would eat this poll if I could! Are you concerned about “big brother”? The city has installed new cameras at points leaving town and in our open spaces. Police cars have license plate readers. Are you ok with these devices?